Xiaomi plans to introduce a smartwatch later this year, but the company has just announced a smartwatch for kids called the Xiaomi Mi Bunny (or Xiaomi Mitu Watch) that retails for just $59. At this price point, the Mi Bunny smartwatch is the most affordable smartwatch for kids we've seen. The LG GizmoGadget and GizmoPal have been offerings from one of the major Android OEMs, but these devices are quite a bit more steep in price than Xiaomi's offering. 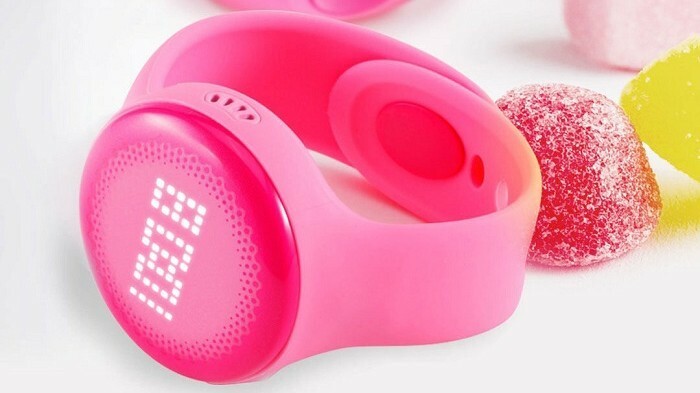 The Mi Bunny smartwatch has a GPS tracker, which lets you keep track of the little ones, as well as an SOS button (that records video and geographic location and position), a pre-paid SIM card for phone calls (yes, children can make phone calls with this smartwatch), along with WiFi and Bluetooth connectivity. The Xiaomi Mi Bunny also has a 300mAh battery housed within the device which Xiaomi says can last for up to six days of standby time. The device itself is made out of silicone plastic straps, so your children will hardly feel the device on their wrist. Xiaomi is in the business of making smartphones, but the biggest surprise for the Mi Bunny is that it is compatible with any Android smartphone running Android 4.2 Jelly Bean or higher. In other words, you need not have a Xiaomi Mi smartphone to get this watch for your child. Xiaomi is hoping to expand its products and services to all of Android so that the manufacturer, once in the very top of sales, will climb back to the position from which it's fallen. 5th worldwide isn't a bad position to hold when you're Xiaomi and selling mostly in your home country, but it isn't enough to keep up with Huawei, Samsung, or Apple in mobile product sales. We still don't understand why it is that analysts throw Xiaomi in to compete with smartwatch makers when they only make Mi fitness bands for now.